Represent your favorite NASCAR driver with this Alex Bowman Steel Thunder T-Shirt. 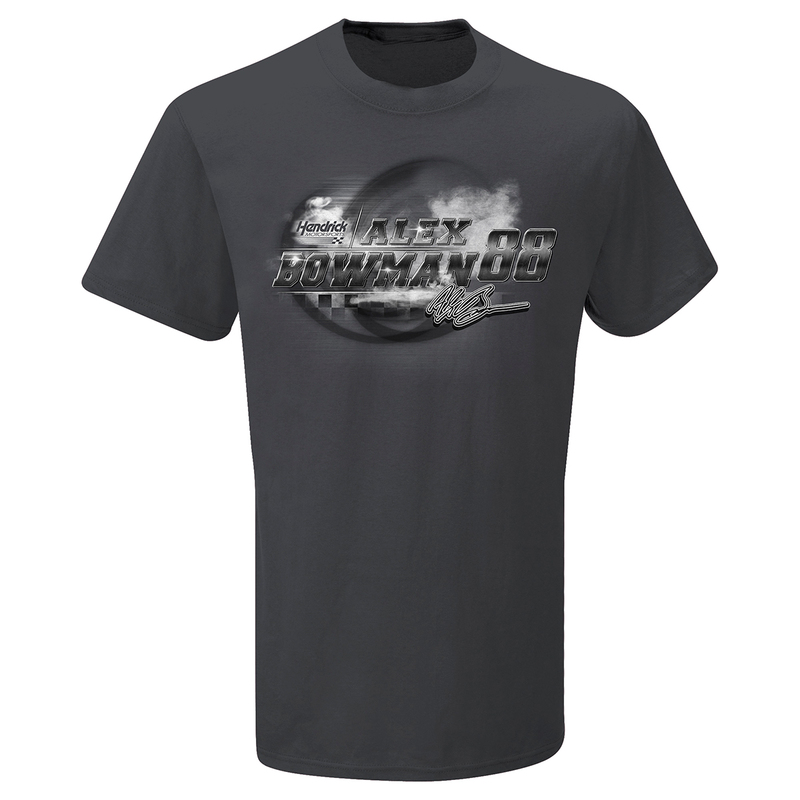 Whether you're watching the race at home with friends or at the racetrack with thousands of other NASCAR fans, you'll love being able to show off your Alex Bowman pride with this comfy tee. It features bold, screen printed graphics that will have you ready to put the pedal to the medal.